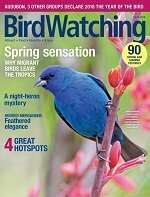 A variety of shrubs, bushes, and trees will go a long way toward attracting birds to your backyard. 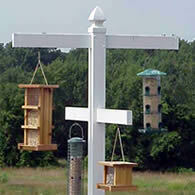 The following article will help you in developing a bird friendly landscape around your home. A landscape barren of trees and shrubs has little appeal to songbirds, no matter how many delicacies are available at a feeding station. 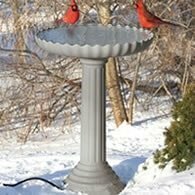 To increase the likelihood that birds will come to, and then perhaps nest, in your yard, add features that appeal to them. Hedgerows, for example, are more likely to attract nesting birds than a vast expanse of lawn with only scattered plantings. Twiggy or thorny types such as viburnum, spirea, barberry and holly are attractive to many birds, as are briar patches, brush heaps or other naturalized areas. Every section of the country has unique climate and soil conditions that will affect your choice of what to plant. As much as possible, incorporate varieties of trees and shrubs native to your region. They have had centuries to adapt to the local environment and will prove to be hardier and more disease-resistant than "exotics." Look around at the conditions in which natural vegetation grows and choose plants appropriate to your property -- willows in wet areas and pines in open, sunny sites, for instance. The time you invest in research and planning before you plant assures that the tallest trees don't wind up in the center of your yard. Diverse plantings, placed on different vertical levels, will provide greater attractiveness -- to both birds and viewers -- and help minimize problems with plant disease and insect pests. Tall trees, large bushes, small bushes and ground cover create natural layers to supply more good habitat in small spaces. 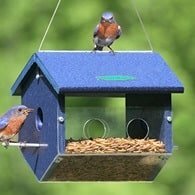 By varying the height of growing things, you accommodate bird species that spend most of their time on the ground as well as those that prefer low, bushy cover or treetops. Plant variety also helps to meet wildlife needs through all four seasons of the year. As a primary element of your habitat plan, trees and shrubs provide food, cover and reproductive sites. However, you can't rush Mother Nature. Patience is more than a virtue when it comes to creating backyard habitat; it is a necessity. 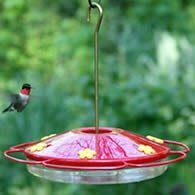 But over time, with careful attention, you will find your yard has come alive with the sight and sound of birds and other wildlife.